Waste generation in Asia has been increasing rapidly due to urbanisation and industrialisation, and poor waste management in several countries has caused negative impacts on the environment and the health of the people. According to The Global Development Research Center, the waste in Asia is disposed of by 51% open dumping, 31% landfilling, 9% recycling, 5% incineration and 2% open burning. It is clear that more work has to be done to reduce, reuse and recycle waste in Asia. We believe that waste is not waste, but a potential resource for someone to use again. To tackle the waste problem, we wish to contribute by focusing on ending industrial and commercial waste from businesses and organisations in Asia, starting from Singapore and Malaysia. There is much scope for businesses and organisations in Asia to reduce and recycle their waste. Waste is usually the last thing on their mind and is something to be thrown away without much thought. With increasing awareness on environmental issues, businesses and organisations are facing pressure from their customers and along the supply chain. They are starting to look at the waste they generate and trying to recycle as much as possible. By reducing their waste, businesses and organisations also hope to cut costs and be more efficient. 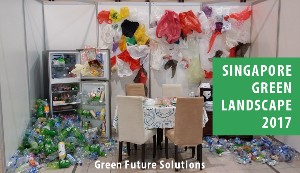 However there are some barriers such as lack of time and information to find out the types of waste that can be recycled, and to search for suitable collectors and recycling companies. Our new initiative, Waste is not Waste, hopes to remove the barriers by providing an online waste exchange that is easy and convenient for businesses and organisations to use, and which helps them reduce, reuse and recycle waste. We connect businesses and organisations that generate waste materials with those who want the materials, thus helping both parties save time and money while helping the environment. Visit our new beta version of Waste is not Waste to learn more about us, the benefits and how it works. Remember that waste is not waste, but potential resources to be used again.